James Patrick McGranery was a U.S. representative and a federal judge prior to his appointment as attorney general of the United States. He served as attorney general under President Harry S. Truman from April 1952 to January 1953. McGranery was born July 8, 1895, in Philadelphia. His Irish Catholic parents, Patrick McGranery and Bridget Gallagher McGranery, were devout, hardworking, and practical. They sent McGranery to local parochial schools, and they did not discourage their son when he chose to quit school and enter the workforce. McGranery was a high-school student when he landed his first full-time job at a Philadelphia printing plant. He remained a card-carrying member of a Philadelphia printer's union for most of his life. When the United States entered World War I, McGranery left his job to enlist in the Army. He served as a balloon observation pilot and as adjutant with the 111th Infantry. At the end of the war, he returned home with a broader view of the world and a strong determination to resume his education. He entered Philadelphia's Maher Preparatory School in 1919 to complete the entrance requirements for Temple University. The war experience also sparked McGranery's interest in law and government. While at Temple, and later at Temple Law School, he became active in local ward politics. Soon after graduating and passing the bar examination in 1928, he was tapped by Philadelphia ward bosses to manage the local campaign of Democratic presidential candidate Alfred E. Smith, of New York. Smith ultimately lost his presidential bid, but McGranery was exhilarated by the political process and eager to attempt his own run for office. He hastily made a bid for a vacant clerk-of-court seat, and was defeated. McGranery's introduction to the political process showed him the need for a solid political base, and it convinced him that a base of supporters could be cultivated through the Practice of Law. To that end, he established the firm of Masterson and McGranery. He started to represent clients with known political influence, including police officers and firefighters, and leaders of their unions. While building his practice, McGranery made two more failed attempts at elected office—as a candidate for district attorney in 1931, and as a candidate for the U.S. Congress in 1934. Finally, in 1936, McGranery had paid his dues and curried the favor he needed. He was elected as a Democrat to represent Pennsylvania's Second Congressional District, by a margin of almost 25,000 votes over his Republican opponent. He was reelected in 1938, 1940, and 1942. Just before his second term in Congress, McGranery married Attorney Regina T. Clark, of Philadelphia, with whom he had three children: James Patrick, Jr., Clark, and Regina. During his years in Congress, McGranery served on the House Banking and Currency, Interstate, Foreign Commerce, and Ways and Means Committees. His voting record was consistent with his allegiance to President franklin d. roosevelt and the Democratic Party. McGranery resigned his seat in the fall of 1943 when his congressional district was eliminated by reapportionment. Roosevelt was reluctant to lose McGranery's longtime support, so he offered to create a position for McGranery in the Justice Department as assistant to Attorney General francis biddle. McGranery accepted. He served as the department's chief administrative officer and chief liaison with Congress and other federal departments and agencies during the World War II years. He also reviewed board-of-appeals findings under the Selective Service Act (50 U.S.C.A. App. 451-471a). 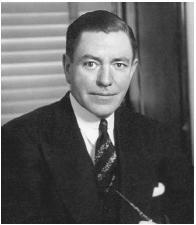 After the war, McGranery remained in the Department of Justice to serve as chief assistant to Truman's first attorney general, tom c. clark. Though McGranery held a position of prominence, he was not as involved or influential under Clark as he had been under Biddle. History suggests that Clark shut McGranery out of high-profile or sensitive cases, including one involving a vote-fraud allegation in the president's home district; a mail-fraud case against a bond dealer who raised funds for Truman, which was dismissed; and an investigation of Amerasia, a left-wing magazine devoted to Asian affairs. McGranery resigned his post in October 1946 to accept an appointment from Truman to the federal bench in the Eastern District of Pennsylvania. Judge McGranery quickly established a reputation as a tough jurist. Critics described him as high-handed, autocratic, and inclined to favor the government's position on any given issue. Even former attorney general Biddle acknowledged that McGranery was essentially an advocate rather than a judge. In one celebrated pronouncement, McGranery ruled in 1949 that Representative Earl Chudoff (D-Pa.) could not appear as a defense attorney in McGranery's court because, as a government employee, the congressman had an inherent conflict in representing a client in a federal proceeding (Chudoff v. McGranery, 179 F.2d 869). During his years on the federal bench, McGranery's name was often mentioned in connection with nominations to Democratic Party and government posts including chairman of the Democratic National Committee, postmaster general, and attorney general. It was just as often discounted because of McGranery's personal reputation. McGranery was well-known to be given to emotional outbursts; he had a history of erratic behavior dating back to his early days in the Department of Justice. Despite warnings from a number of quarters, Truman asked McGranery to fill the attorney general post in the spring of 1952, following the departure of j. howard mcgrath. Truman had reluctantly asked for McGrath's resignation after McGrath had failed to cooperate with, and later fired, a special assistant who had been named to investigate corrupt practices inside the Department of Justice and the Bureau of Internal Revenue. A confirmation committee in Congress briefly raised the issue of McGranery's participation in the Amerasia incident and speculated that he might try to block the ongoing Department of Justice investigation just as McGrath had. Nevertheless, after some discussion, McGranery was confirmed as attorney general. To the surprise of many of his longtime critics, he oversaw a thorough inquiry that led to numerous dismissals and prosecutions in both the Department of Justice and the Bureau of Internal Revenue. "No specific intent to monopolize is necessary; the only relevant intent is the intent to enter into the business arrangements which give rise to the power." McGranery made a number of other contributions as attorney general, including the initiation of antitrust cases in the oil and steel industries, the diamond trade, and magazine wholesaling; the prosecution of American Communist Party leaders; the deportation of organized-crime figures; and the instigation of Department of Justice support for the cause of school Integration in Brown v. Board of Education of Topeka, Kansas (347 U.S. 483, 74 S. Ct. 686, 98 L. Ed. 873 ). His office helped to provide the basis for that decision overruling the "separate-but-equal" doctrine. At the close of the Truman administration, McGranery practiced law in Washington, D.C., and Philadelphia. He died on December 23, 1962, in Palm Beach, Florida.